It seems the XBL and PSN sticky is not being updated. So i have created a google doc that anyone with the link can access and edit. Obviously this may be open to abuse but if it does get abused then it simply wont be used. This would be a better option to sticky than the current ones. Mods please feel free to sticky if you feel it warrants it. 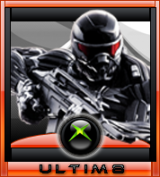 *Added all existing and outstanding players from the other XBL sticky thread to this new one. *Added all existing and outstanding players from the other PSN sticky thread to this new one. *Added Counter by region and ID type. cool lecky and did the linking direct to users profiles help and work? Yeah the links worked fine and I am indeed UK. i see you emils i see your from norway, maybe i should change the UK tabs to Europe as generally pings and connections are ok to play together. cool is AUS for Australia im guessing? USA users would you like all your states listed rather than timezones? Emils XBL link isnt working for me, keeps going to my profile instead!